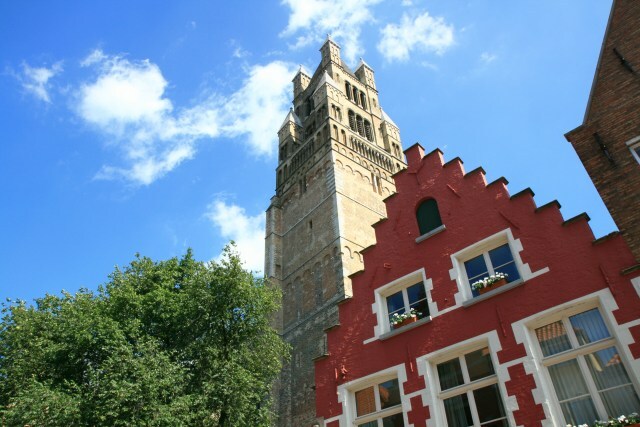 St. Saviour’s Cathedral is Bruges’ oldest parish church (12th-15th century). 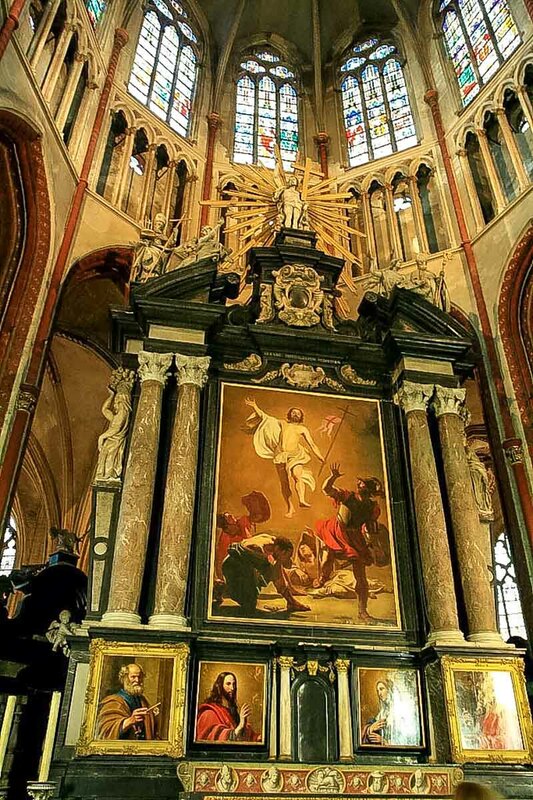 Worth seeing are the gobelins, the choir, rood loft with organ (1619-1717), choir stalls and numerous fine paintings. 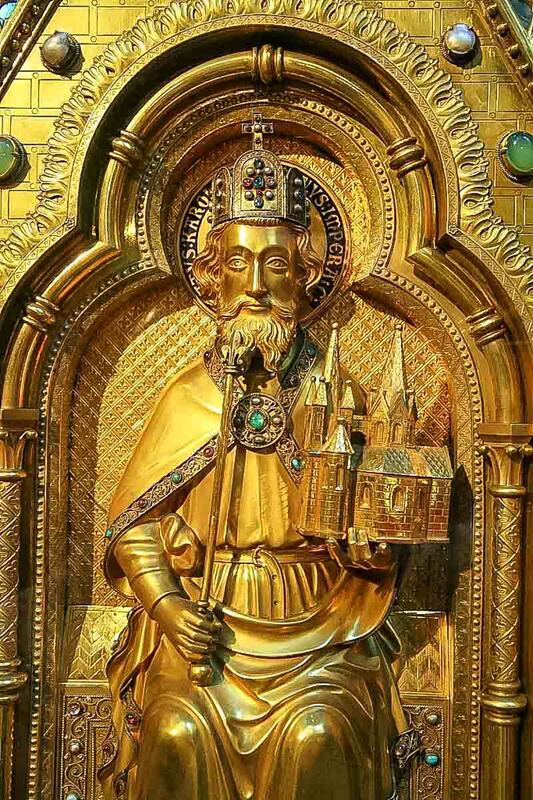 Cathedral Museum: old paintings and retables, brass tomb plates and reliquaries. 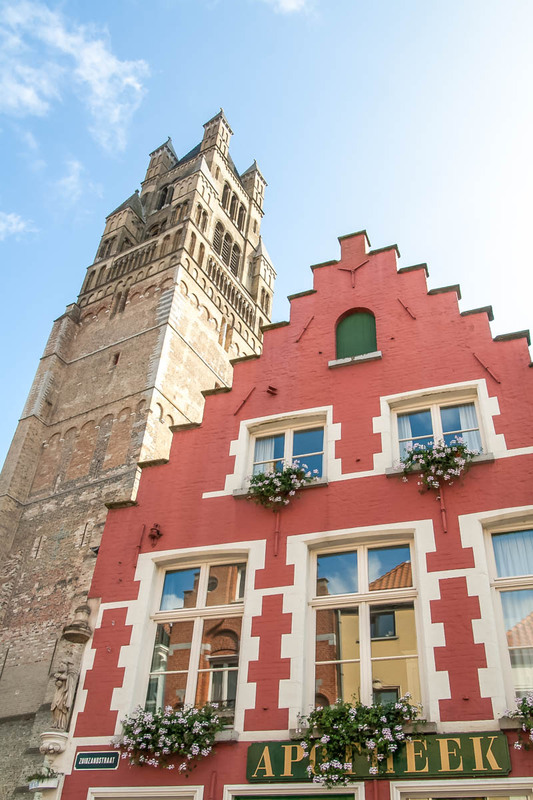 Work started on Bruges' oldest parish church in the 10th century but after being destroyed by fire, rebuilt and alterations and additions made in the 13th and 14th centuries, it displays a mixture of styles. The main parts of the church are built in so-called Gothic of the Schelde style of the 14th century. This cathedral has some special places worth seeing. 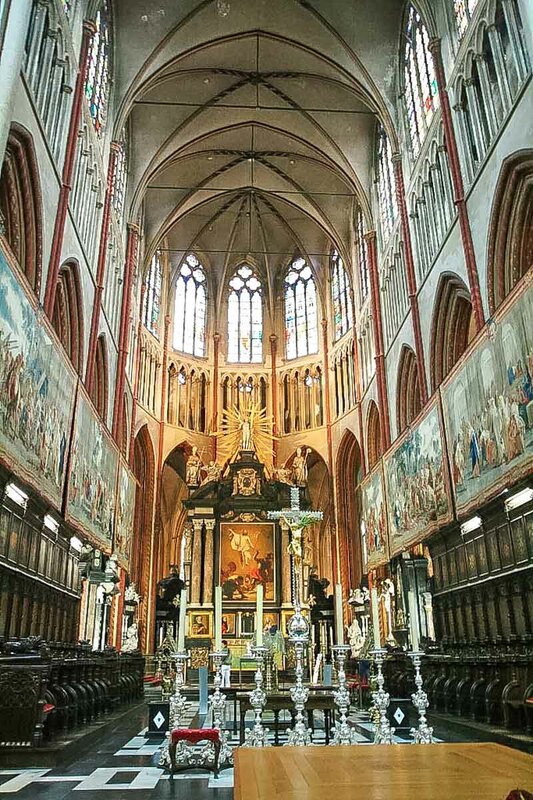 We call here the late Gothic choir stalls (1430), the pulpit in the style of Louis XVI, the baroque rood loft with the impressive organ, the chapel of Saint Jacob (now baptistery) with the murals from the end of the 13th century until 1576, the paintings of the flemish school (14th - 17th century), the tapestries from the 18th century and so on. The roof of the cathedral collapsed in a fire in 1839. 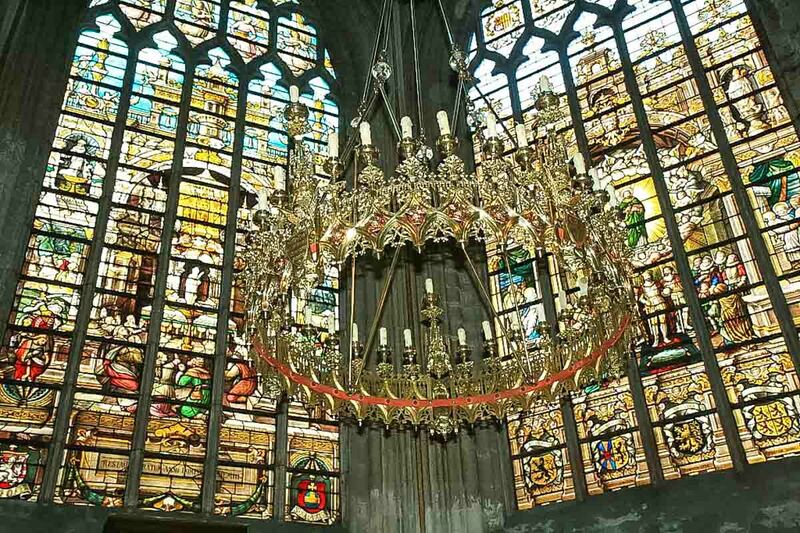 Robert Chantrell, an English architect, famous for his neo-Gothic restorations of English churches, was asked to restore to Sint-Salvator its former glory. At the same time he was authorized to make a project for a higher tower, in order to make it taller than that of the Onze-Lieve-Vrouwekerk. The oldest surviving part, dated from the 12th century, formed the base of the mighty tower. Instead of adding a neo-Gothic part to the tower, Chantrell chose a very personal Romanesque design. After completion there was a lot of criticism and the royal commission for monuments (Koninklijke Commissie voor Monumenten), without authorization by Chantrell, had placed a small peak on top of the tower, because the original design was deemed too flat. The Neo-Romanesque west tower is fortress-like 99 meters high.